The LEAF lamp is a gorgeous, one of a kind lamp. Sculpted out of aluminum it resembles, as the name suggests, a leaf. 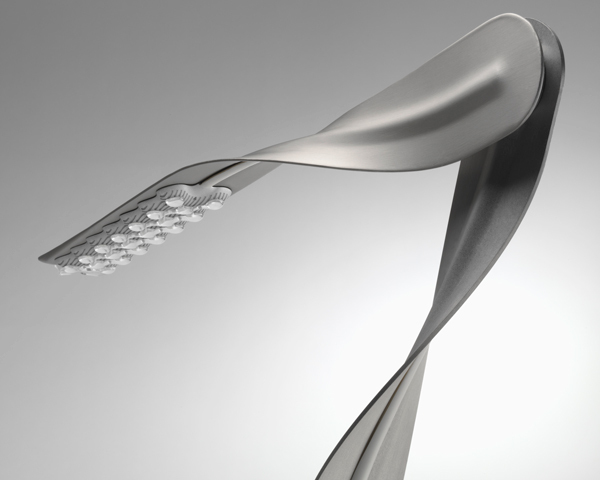 The aluminum blades form a very modern and adjustable desk lamp. It is said to be one of the first lamps that allows a person to choose between warm mood lighting and a more cool light to work under. Yves Behar designed the LEAF lamp for Herman Miller. Yves said it took 4.5 years to design and create this uniquely crafted, luxury light fixture. He needed to design both the lamp structure as well as the light bulb to get the modern luxury lighting piece he desired. 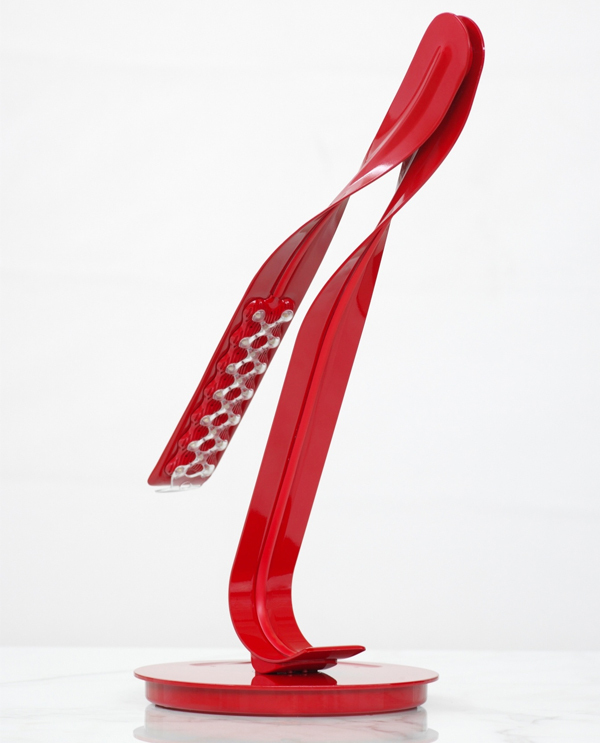 His design goal with the LEAF led lamp was to create a light piece with a humanistic side. 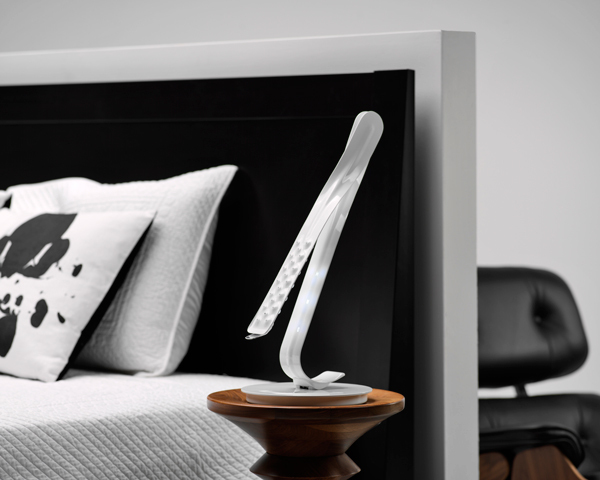 The base of the lamp is touch sensitive, and it is here where you can control the light’s settings. As well as being able to control the color of the light (warm/cool), the touch control base controls on/off, and the level of brightness. It is in the design of the bulb that allows for the control between the warm mood lighting and the cool work light. There are 20 LEDs in the lamp: 10 LEDs are blue to offer the cool white light, and 10 LEDs are yellow which produce the warmer color of light. 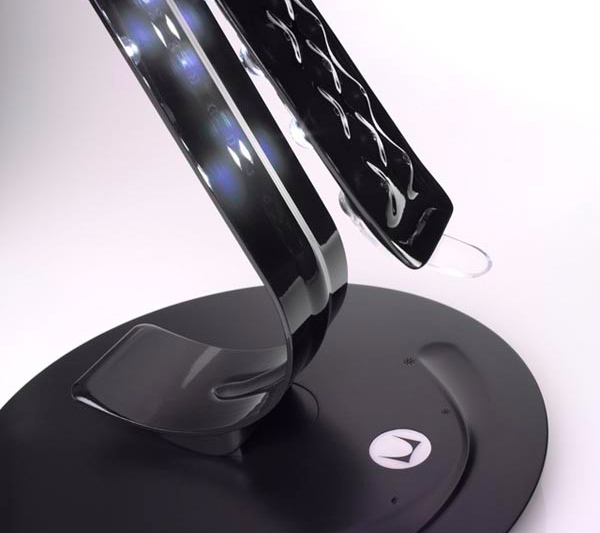 Because of its unique shape, LEAF uses 40% less energy than a compact fluorescent light – which is the reason, as well as its elegant design, why TIME Magazine named the LEAF lamp as one of the Best Inventions of 2007. 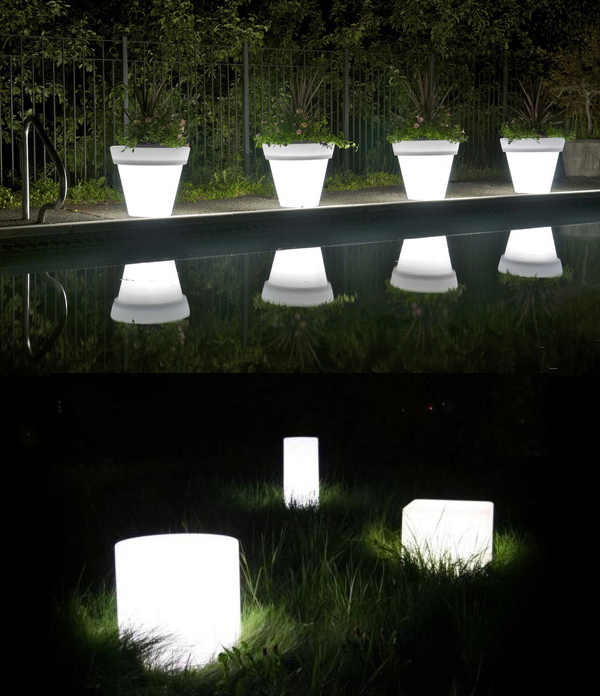 A simple way to add ambient lighting to your garden while at the same time pot your plants is to use these glowing pot lights by Rotoluxe. 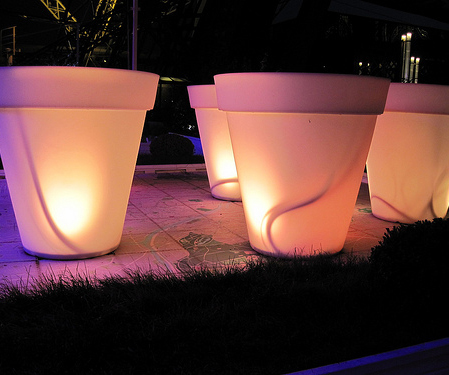 These translucent pots contain either an CFL or LED light providing diffused lighting when lit. 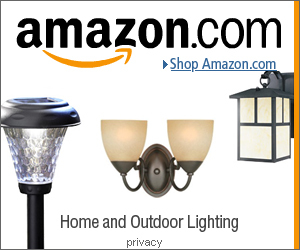 They are water proof, so they are ideal for exterior lighting in the garden, on a deck, a patio or around a swimming pool. These decorative garden pots are also lightweight, fade resistant and made from 100% recycled content. 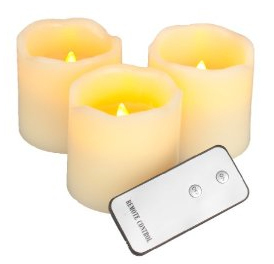 The pots come as either standard plug powered or rechargeable battery powered (lasting 8-10 per charge). All the pots are made in the USA. 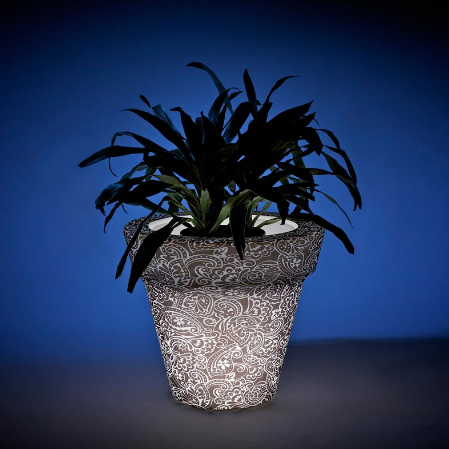 Rotoluxe’s best seller is their 20” glowing, classic pot design Vazon Magnum. They have a wide range of pot sizes and styles, from the traditional pot shape, to rounded squares to modern pot shapes. 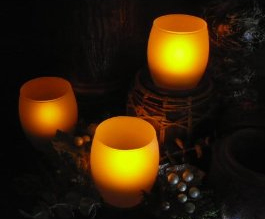 There are also a wide range of different colors to choose from or have a pot with an intricate design from which the light can shine though. 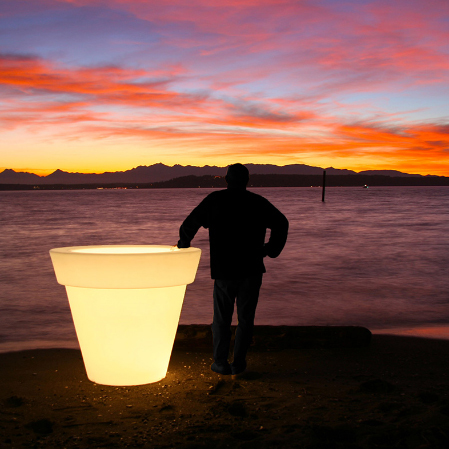 Their largest sized pot is over half the height of a full grown man, an ideal pot / lighting option for public spaces or large gardens.